The Billfish Report is counting down its Top 10 Billfisheries of the Year, and our #1 Billfishery goes to the Jaco & Quepos, Costa Rica. 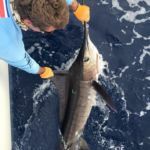 Criteria for our Top 10 include fish numbers, variety of billfish species, average size of fish, length of season and number of boats fishing. 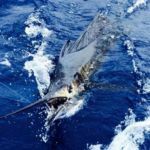 With over 11,000 Billfish Reports submitted to us in 2015 from around the World, to even be considered for our Top 10 makes a fishery one of the best! The numbers speak for themselves. This has no doubt been the “hot” fishery to go to and for good reason. 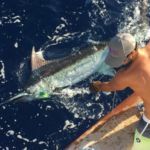 This fishery has gone from a reliable sailfishing destination to one of the Top Destinations in the World for Billfish. We had them comfortably seated at #7 in 2012 and they quickly ascended to a Top 5 finisher and now Back to Back the #1 Billfishing spot in the World. From this fishery alone we had the single best day in the Word on Sailfish with Sea Angel releasing 82. We had the single Best Day in the World on Blue Marlin, with the Parranda releasing 18. We had the most Grand Slams released in any fishery with fifteen (15) including four (4) that came from a single trip on the Fish Tank. 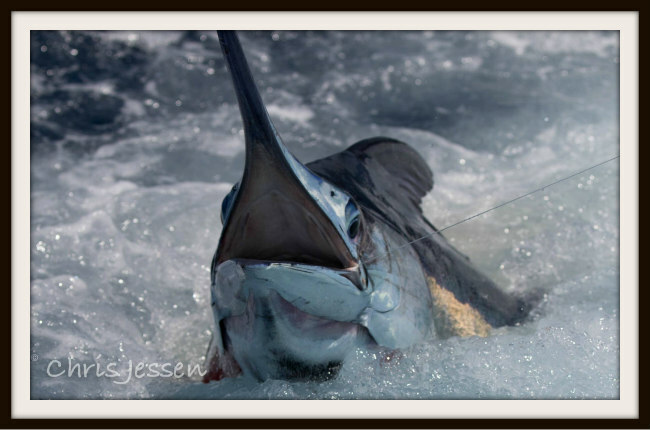 It is not very often to see two different species of Billfish be so prolific in one spot. 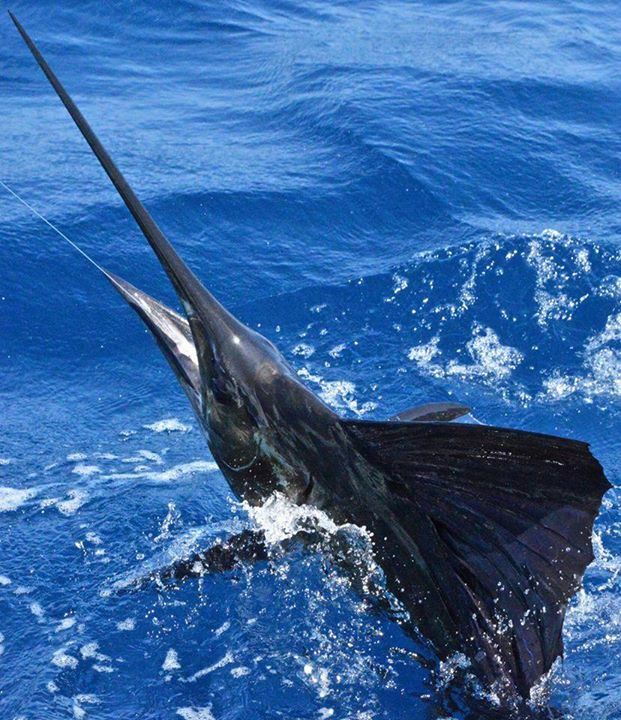 By example, Guatemala is generally known as the best place in the world for Sailfish or Cape Verdes for Blue Marlin. So, when a fishery starts to produce numbers that can match or beat them, you have to take notice. 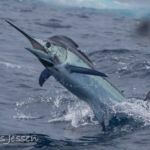 The Sailfish (and maybe the Marinas) may have brought the boat to Los Suenos and Pez Vela, but the outstanding offshore bite on Blue Marlin creates the real “mystique”. Let me go ahead and get this out of the way. We are well aware that the overnight trips are targeting these fish on FADS, but other fisheries have FADS as well and they are not producing the same numbers as we are seeing here. Sea Spud spent 8-Days offshore, producing 87 Blue Marlin, 3 Striped Marlin, 1 Black Marlin and a Sailfish. That is over a 10 Blue Marlin a day average. On a separate trip, Sea Spud released 53 Blue Marlin over 5-Days, again averaging over 10 fish a day. 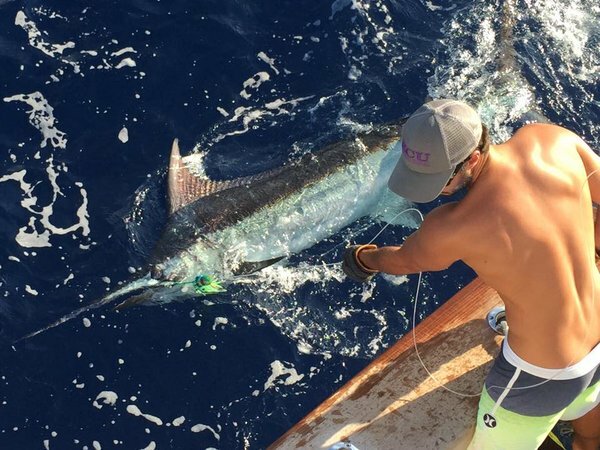 They were not alone out there with Suzy Q releasing 32 Blue Marlin over 2-Days. 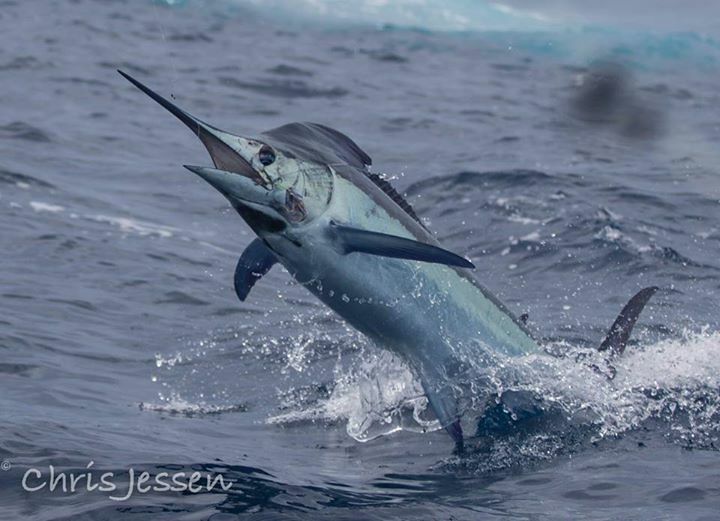 Dragin Fly had two days with over 10 Blue Marlin with a 14 & 15 fish day. Parranda, Fish Tank and On Location all can boast these kind of numbers on Blue Marlin. Compared to some fisheries, these boats are releasing season numbers in a single trip. This is not to say it doesn’t slow down. Even when fishing the FADS, the bite can slow to a crawl. For those not making the long haul trips, there are still plenty of Blue Marlin around “inshore” as well. 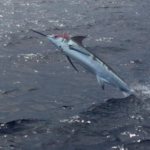 It is not unusual to get 2-3 shots a day on Blue Marlin with some Striped Marlin in the mix. 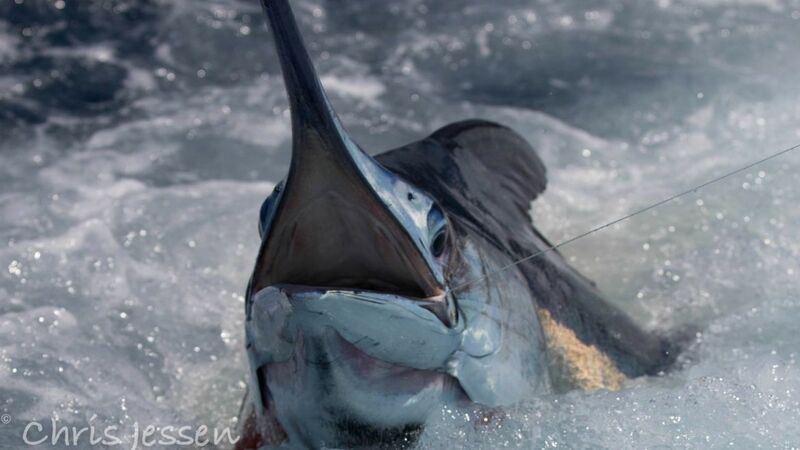 These boats are typically targeting Sailfish however and those numbers once again are spectacular. 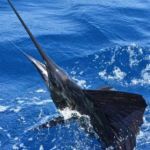 Leg 1 of the Triple Crown produced 2,130 Billfish over 3-Days, which worked out to be a fifty-five (55) Billfish average during the Tournament. Non Tournament days were just as prolific if not more with Fish Tank releasing 66 Sailfish, Cuz We Can with 60, Stalker with 53 and Trophy Box releasing 52 just as examples. There were points during the bite where getting 30 Sailfish in a day did not even peak your interest. You don’t need to break out the heavy tackle around here though. Most of the Blue Marlin are in the 200 lbs. range and we did not get a report on any Blue Marlin over 500 lbs. 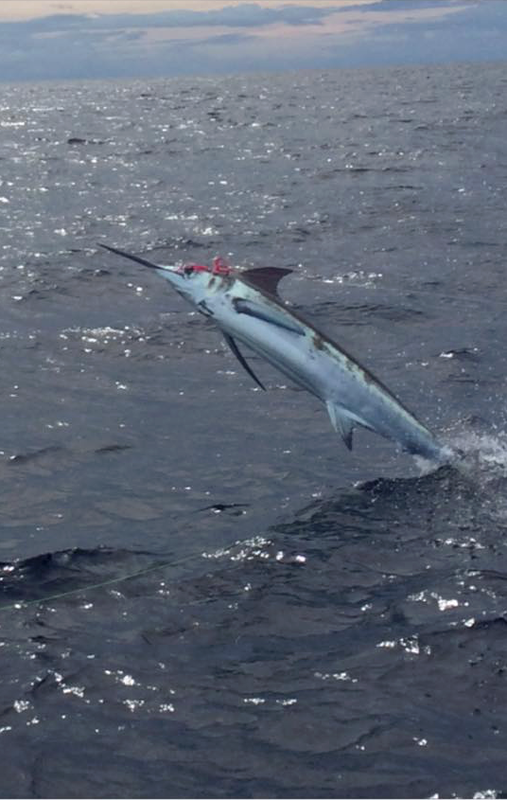 We did get one large Black Marlin reported to us on the Sea Fly, estimated at 600 lbs. Congratulations to the Jaco and Quepos, Costa Rica our #1 Billfishery of the Year! Sea Spud released 87 Blue Marlin, 3 Striped Marlin, 1 Black Marlin & 1 Sailfish over 8-Days. 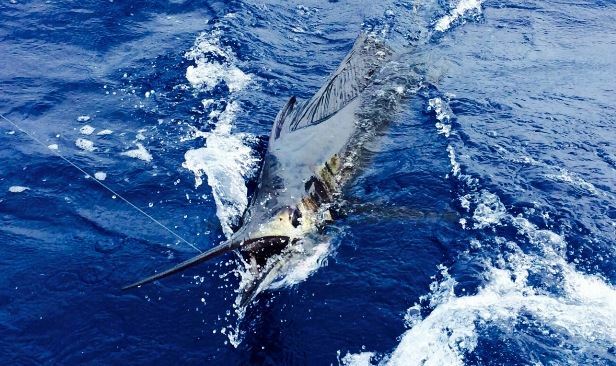 Tranquilo went 40-60 on Sailfish. Cuz We Can released 60 Sailfish, 119 in 3-Days. Tijereta released 30 Blue Marlin, 5 Sailfish and a Black Marlin over 5-Days including a Grand Slam. 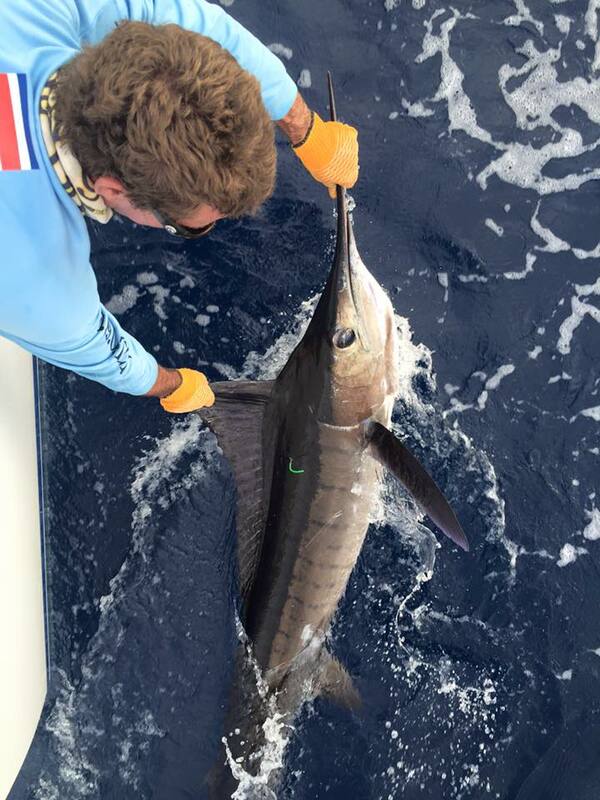 Dragin Fly went 4-17 on Blue Marlin on Fly. Wire We Here went 97-158 on Sailfish over 3-Days. Tuna Bite went 36-54 on Sailfish and 0-1 on Blue Marlin. Miss Behavin went 20-35 on Sailfish. Dream Girl released 38 Sailfish. Dreamwork released a Grand Slam with 2 Blue Marlin, Striped Marlin and a Sailfish. En Joy went 40-54 on Sailfish and released a Blue Marlin. 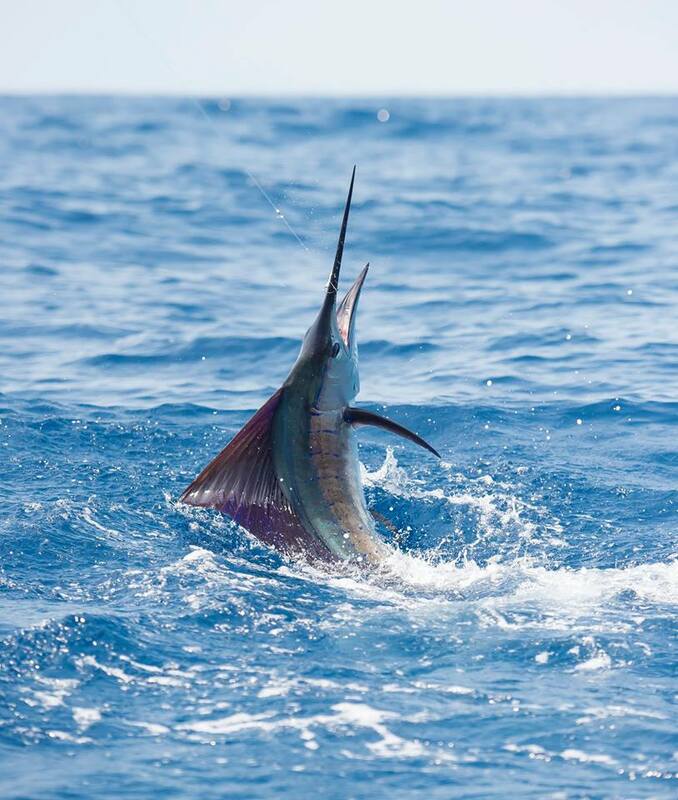 Epic released 70 Sailfish over 2-Days. 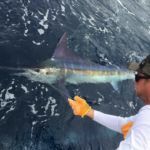 Fishmaster released a Grand Slam with a Black Marlin, Blue Marlin and Sailfish. 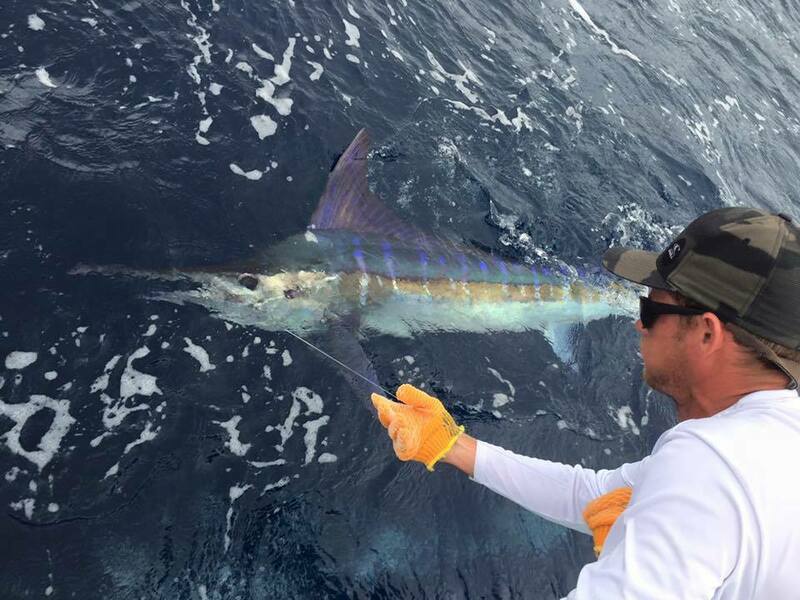 Hoos Your Daddy released a Grand Slam with a Striped Marlin, Blue Marlin and Sailfish. Reel Screamer released 41 Sailfish. Sea Fly released a Grand Slam going 8-10 on Blue Marlin a Striped Marlin and a Sailfish. Uno Mas released a Grand Slam with 16 Sailfish a Black Marlin and a Blue Marlin. Congratulations to all the crews, boats and anglers…private and charter boats that helped rack up all these releases to put Jaco / Quepos back on top…Good fishing to ALL in 2016!!! 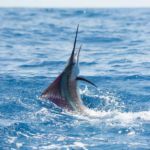 Also many thanks to the teams at the Billfishreport.com and Marlin Billfish for all the reporting in their news flashes throughout the year.